Tap on the glass! 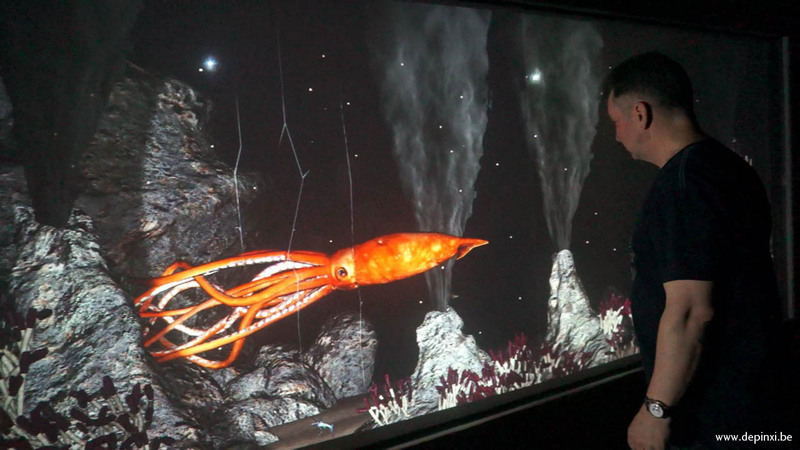 Anything goes in the virtual aquarium, which responds to visitors. 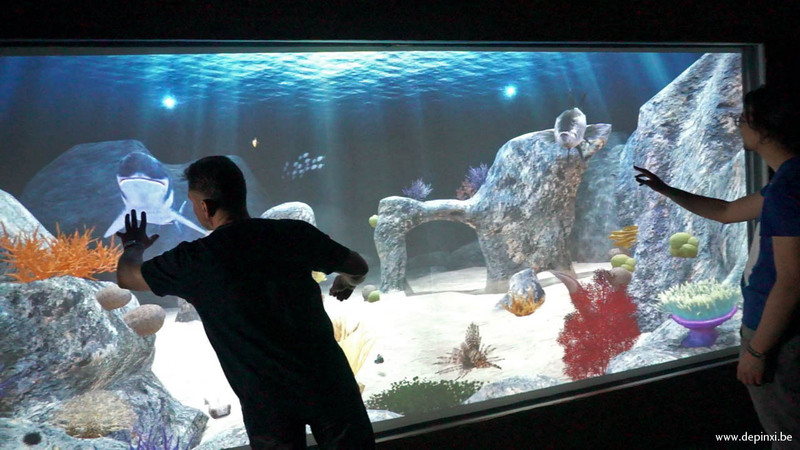 The entire surface of the aquarium is reactive: several visitors can (inter)act at the same time, depending on the size of the installation. 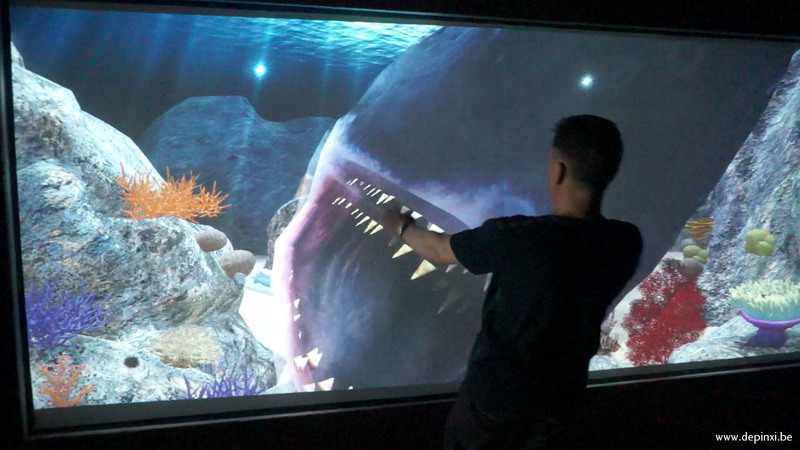 Animals and creatures aren’t shy to leave their hiding places and venture close to patient visitors, creating a constantly changing world of discovery. Seaweed undulates with the ebb and flow of the currents, the creatures react, wait, bide their time, eat… devour! 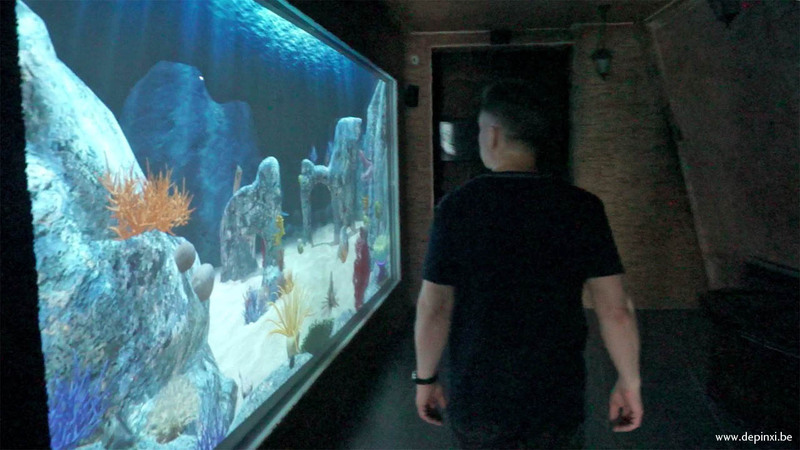 Several habitats can exist within the same installation and take your visitors on a journey from the tropics to Antarctica.